Michael Schenker is a truly talented guitarist that has been making great music for several decades, having recorded his first album with the Scorpions way back in 1970. Since then whether it's been with the Scorpions, UFO, MSG, solo or his current Temple of Rock project he's been making albums that feature his superb playing. It's only in recent years though that he's conquered his stage-fright and been able to truly enjoy himself on stage, and that is something that really comes across when you see him play - in the last few years he's been better live than ever before, and that was clear to see in last year's live DVD (Michael Schenker's Temple of Rock: On a mission - live in Madrid). With a live DVD released last year, you might wonder why follow it up so soon with another live release, but this release is very different. 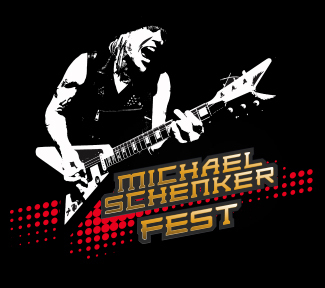 While last year's release was from his Temple of Rock project and featured material from that album, this one is more nostalgic as it reunites Michael Schenker with former members of M.S.G - Chris Glen (bass), Ted McKenna (drums) and Steve Mann (keyboards) plus three vocalists from M.S.G - Gary Barden, Graham Bonnet and Robin McAuley. A show featuring a guest appearance from one of those singers would have made fans happy, but to have all three together - that's something special for M.S.G fans. Five thousand lucky fans got to witness the show at the Tokyo International Forum in August 2016, and now it's being released on DVD and Blu-Ray and as a DVD/2CD version. Wow, what a superb live release this is. Right from the start Schenker's guitar playing is just superb and it's clear why his career has lasted so long. With many guitarists, including instrumentals in the set feels like an opportunity to show off, but with Michael Schenker there's no sense of ego or showing off, he's just included them because they work well, and watching him play feels like what it is - watching a guitar master doing what he loves - playing the guitar. Whether it's the beautiful intricate parts or the fast rocky ones, Schenker delivers with ease. Having the three vocalists is a nice touch, covering a large part of MSG history. It's a fantastic setlist - but then any set that includes "Into the arena", "Rock bottom" and "Doctor doctor" is off to a good start, but while they may be some of the best known songs, the whole set is incredibly strong, and when you consider that almost the entire set comes from a relatively short part of his career that drives home just how talented Michael Schenker is, not just as a guitar player but as a songwriter, and if you were to create a "best of" list of songs from across his whole career it would be a long list indeed. With 2 CD's and a DVD, you get the best of both worlds - you can watch the DVD when you are free to sit and watch, and the rest of the time you can have the CDs blasting out. A first rate live release that Michael Schenker fans are certain to enjoy.